When Sam Raimi’s Spider-Man debuted in 2002, it earned more than $400 million in the US and became the year’s biggest hit. It became the first superhero smash hit in years and did a lot to reinvigorate the genre. When Marc Webb’s Amazing Spider-Man reached screens in 2012, it made $262 million in the US, a figure that seemed fine but not what you’d call exceptional. Unlike the highly praised Raimi flick, Webb’s web-slinger earned more mixed reviews and didn’t seem to capture the popular imagination. Nonetheless, Amazing did well enough to prompt the semi-inevitable sequel, which arrives via 2014’s Amazing Spider-Man 2. As the film starts, Peter Parker (Andrew Garfield) – aka Spider-Man – graduates from high school and continues a relationship with girlfriend Gwen Stacy (Emma Stone), though complications continue there due to a promise Peter made to Gwen’s late father. Before Captain Stacy (Denis Leary) died, the policeman learned of Peter’s secret identity and made our hero swear to avoid entanglements with Gwen due to the potential threats that come with his superhero career. While Peter goes through drama in his personal life, Spider-Man also finds himself with new threats to combat. Peter’s childhood friend Harry Osborn (Dane DeHaan) returns to New York to visit with his dying father Norman (Chris Cooper). The head of the vast Oscorp empire, Norman suffers from a hereditary disease and warns Harry that it’ll affect him soon as well. Before Norman dies, he passes his research to Norman, and the younger Osborn comes to believe that if he got a sample of Spider-Man’s blood, this would battle the disease. Unsure of the ramifications, Spider-Man refuses, and this prompts Harry to develop a hatred for the superhero – a dislike that Harry turns into violent action when he discovers the Oscorp secret weapons stash and transforms himself into the villainous Green Goblin. Another threat develops from an unlikely source. During a battle early in the film, Spider-Man rescues Max Dillon (Jamie Foxx), a meek, nerdy Oscorp employee. This event prompts the needy Max to view Spidey as his best pal. During some maintenance work at Oscorp, Max falls into a vat of genetically-altered electric eels. This seems to kill him, but instead, it eventually transforms him into a being who can harness the power of electricity. He loses his already tenuous grasp on reality and turns into Electro, another figure who causes threats to Spider-Man – especially when he and the Goblin join forces. All that and the Rhino too! Though one shouldn’t expect much from the third villain. We get an intro to the character pre-transformation when Aleksei Sytsevich (Paul Giamatti) hijacks an Oscorp truck full of plutonium – the chase that introduces Spidey to Max – and re-encounter him at the end when he formally turns into the Rhino. The final sequence plays more as a teaser than anything else, so Amazing 2 doesn’t really count as a “three-villain” movie. I’m not even sure if it counts as a two-villain movie, though, as Amazing 2 doesn’t manage to develop its baddies all that well. Harry’s arc comes with holes and a lack of narrative substance, and Max feels totally contrived. He comes across like a less interesting riff on Edward Nygma from Batman Forever - and seeming “less interesting” than an aspect of the 1995 disappointment is a bad thing. In retrospect, I admit that the villains in the Raimi movies aren’t all that well-realized either, but I still think those flicks hold together well because I feel they capture the spirit of Spidey. On the other hand, the Amazing series shows the influence of the post-Dark Knight cinematic landscape. Sure, Spider-Man was a character borne of tragedy, but Peter was more of a sad sack who usually suffered from semi-ironic twists in his life, not someone with real darkness involved. There was always a sense of optimism involved and a take on Peter than made him human. The Amazing series seems more interested in the serious, brooding potential to the character and posits him as a mini-Bruce Wayne – albeit without the enormous wealth. Perhaps I may overstate this, as Amazing 2 doesn’t go for the operatic drama of Christopher Nolan’s Batman films; indeed, it comes with plenty of attempts at humor. Nonetheless, I continue to feel that the Amazing movies get the franchise’s tone wrong, and the attempts to develop the Parker mythology with Peter’s exploration of his father’s experiments and fate flops. Like Batman, Spider-Man’s career came into effect when a random criminal killed a person the character loved. The death of Peter’s Uncle Ben is all we need to give Spider-Man drive; the addition of complications related to his father goes nowhere and feels like unnecessary mythologizing. The films should focus on the here and now with Spidey/Peter, not some pointless digression into the past. These scenes do nothing to add depth or intrigue, and they slow down an already murky narrative. Amazing 2 does threaten to come to life during its action scenes, as they show pretty good pep. Granted, I occasionally become disconnected from the battles because they feel like CG characters at war with other CG characters, but they add some pizzazz to the proceedings. I also think the third act does a fair amount to redeem the movie. The story takes a dark turn toward the end, and it invests a reasonable amount of emotion into the proceedings. I suspect Raimi would’ve done these moments better but the climactic fight and its aftermath give us the best parts of the film. Which then collapses with the incredibly corny final sequence. Warning – potential spoilers ahoy! As noted earlier, the Rhino emerges at the end in a bit of a “teaser” that also involves the participation of a young Spidey fan. After the tragedy involved in the big Goblin battle, Spidey goes into retirement. He finally re-emerges when the Rhino launches a violent rampage. Before our hero hits the scene, a youngster in a Spider-Man costume stands up to the Rhino Tiananmen Square-style. Spidey then swoops in to have a sweet chat with the lad before he engages in his own fight against the Rhino. This coda fails on all levels and subverts much of the good feeling engendered by the dramatic climax. The scene would’ve worked much better without the kid, as his presence just seems cheap and cheesy. Also, it makes no sense that a psychopath like the Rhino would take a time out during his crazed assault to let Spidey have a heart-to-heart with some urchin. Edit the kid out and this becomes a rousing finale; leave the kid in and this winds up as an eye-roll-inducing conclusion. Due to the superiority of its fight scenes and the drama in its final act, Amazing Spider-Man 2 offers an improvement over its predecessor. However, it still falls short of the franchise’s potential and continues to disappoint. Maybe Amazing Spider-Man 3 will give us something more satisfying, but I won’t hold my breath. Note that while theatrical screenings of Amazing 2 included a mid-credits preview of X-Men: Days of Future Past, this sequence doesn’t appear on the Blu-ray. Amazing 2 promoted the X-Men film due to a contractual agreement with Fox related to the availability of director Marc Webb. I guess this only covered big-screen showings of the film, as the clip goes MIA here. That leaves Amazing 2 on home video as a rare Marvel movie without a bonus snippet during or after the credits. The Amazing Spider-Man 2 appears in an aspect ratio of approximately 2.40:1 on this Blu-ray Disc. Though not a killer transfer, the image looked positive. Sharpness became a minor issue at times, as a handful of elements looked a smidgen soft in terms of wide shots. Those didn’t create a notable distraction, though, and the majority of the flick looked tight and well-defined. I noticed no shimmering or jaggies, and the image lacked edge haloes. Print flaws also failed to appear. Colors tended toward a blue feel. This meant a lot of teal as well as a cooler blue that fit within Electro’s universe. Other hues materialized as well, though all within a stylized feel; don’t expect natural tones here. Within the movie’s design parameters, the colors seemed perfectly fine. Blacks looked dark and dense, while shadows showed good clarity and smoothness. Except for the mild softness, this turned into a strong presentation. I liked the DTS-HD MA 5.1 soundtrack of Amazing 2, even more, as it created a dynamic affair. With all the movie’s action scenes, the mix offered plenty of chances for lively material and it took good advantage of them. Many components cropped up around the various channels and blended together in a satisfying manner. Expect plenty of involving moments through this well-integrated soundscape. Audio quality also pleased. Music seemed robust and full, while speech sounded distinctive and clear. Effects worked best, as they showed terrific punch and power throughout the movie. Everything combined here to form a vivid, engrossing mix. 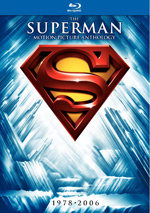 The set provides an audio commentary from screenwriters Alex Kurtzman and Jeff Pinkner and producers Matt Tolmac and Avi Arad. They all sit together for a running, screen-specific look at story/character/screenplay areas, sets and locations, cast and performances, effects, music, and other filmmaking areas. This chat turns into a generally good commentary but not one that excels. On the positive side, it focuses a lot on character/story domains and provides nice insights into the decisions made in that realm. Other aspects of the track seem less successful, though, and create a lack of consistency. Still, it’s a perfectly listenable piece with a fair amount of worthwhile material. 13 deleted scenes run a total of 23 minutes, one second. Usually when we get cut footage, it tends to be insubstantial, and some of these clips fall into the category of “minor additions”. However, we get a few with greater impact, including one that presents the return of a major character. You won’t find the excised Mary Jane shots here, but the stuff we find seems good. We can watch the scenes with or without commentary from director Marc Webb. He tells us a bit about the sequences and lets us know why they got the boot. Webb offers useful information and makes me wish the disc included a director’s commentary for the feature film. Under The Wages of Heroism, we find a collection of six featurettes; all together, they occupy a total of one hour, 43 minutes and 42 seconds. Across these, we hear from Arad, Webb, Kurtzman, Tolmach, Pinkner, co-creator/executive producer Stan Lee, costume designer Deborah L. Scott, location manager Justin Farrar, production designer Mark Friedberg, executive producer E. Bennett Walsh, special effects supervisor John Frazier, NAC Company’s Marc Noel, stunt coordinator Andy Armstrong, costumer Deborah Zimmerman, makeup artist Sarah Rubano, key stunt double Ilram Choi, stunt double Jennifer Caputo, makeup effects designer Howard Berger, Weta Workshop’s Joe Dunckley, visual effects supervisor Jerome Chen, CG supervisors Bob Winter and Chris Waegner, animation supervisor Dave Schaub, senior CG supervisor John Haley, digital effects supervisor David Alexander Smith, composer Hans Zimmer, musician Tom Holkenborg, music producer Stephen Lipson, editor Pietro Scalia, and actors Andrew Garfield, Emma Stone, Dane DeHaan, Jamie Foxx and Paul Giamatti. “Wages” covers aspects of the movie’s development and screenplay, story/character choices, cast and performances, costumes, sets, locations and production design, stunts, action and various effects, music and editing. One might assume a nearly two-hour documentary would cover a movie well, but that doesn’t always prove to be true, as I’ve encountered some forgettable, not-especially-informative “marathon” programs. Happily, “Wages” uses its time effectively. It covers a wide variety of filmmaking areas and does so in a concise, enjoyable manner. Add a ton of great behind the scenes footage and this becomes a terrific show. Next comes a music video for Alicia Keys’ “It’s On Again”. It shows a few shots from the movie but mostly concentrates on lip-synch performances and a vague story line of its own. The video never threatens to become memorable, but it’s better than most that accompany songs from films. The Music of Amazing Spider-Man 2 goes for eight minutes, nine seconds and presents an interview with Marc Webb. He gives us his thoughts on what he wanted from the movie’s music and how the composers executed it. This seems a bit redundant after the segments in “Wages” but it comes with a few good thoughts. In this package, we get both the 2D and 3D versions of the film. The picture quality comments above reflect the nature of the 2D edition – does the 3D image add much to the proceedings? Definitely – the 3D brings a lot of involvement to the proceedings. Much of the film opts for depth, and those elements come across in a natural manner that delivers a nice feeling of space. The action scenes turn into the most dynamic, though, mainly due to all the characters and components that zoom around the image. With Spider-Man as well as two flying villains, we get a lot of moments that pop off the screen. These lack the gimmicky “in your face” feel of bad 3D; instead, they create an impression of dimensionality that makes them exciting. This turns into a nice 3D representation. Note that while the audio commentary also shows up on the 3D disc, none of the other extras appear there. This platter does present a 3D trailer for the first Amazing Spider-Man; for reasons unknown, it fails to provide an ad for Amazing 2. A third disc provides a DVD copy of Amazing 2. It includes the commentary, four deleted scenes, and the music video. After a disappointing first movie, I hoped The Amazing Spider-Man 2 would offer an improvement. It does, but not to an enormous degree; a good third act redeems it somewhat but it remains a disappointment overall. The Blu-ray presents solid picture and audio along with some informative bonus materials. Amazing 2 has its moments but doesn’t deliver a consistently satisfying movie.